Brooks’ Burgers & Dog is one of the restaurants I frequent when I’m in Naples. There’s a bunch of options for your Burger (this place was formerly Lindburgers) but I go semi-classic with mine, American Cheese & Bacon. Very good Burger with a nice fluffy Bun, you won’t go wrong here. Get the fresh thick cut Potato Chips as your side, you will thank me later for it. There’s also a great app called Fire Fries (French Fries topped with melted Cheese, Blue Cheese crumbles and Hot Sauce). I’m thinking this dish might be even better with the fresh cut Potato Chips in place of the Fries. I now wish I had thought of that while I was there. I love lindburgers! There are a few around So Fla too. I need to get to one soon! 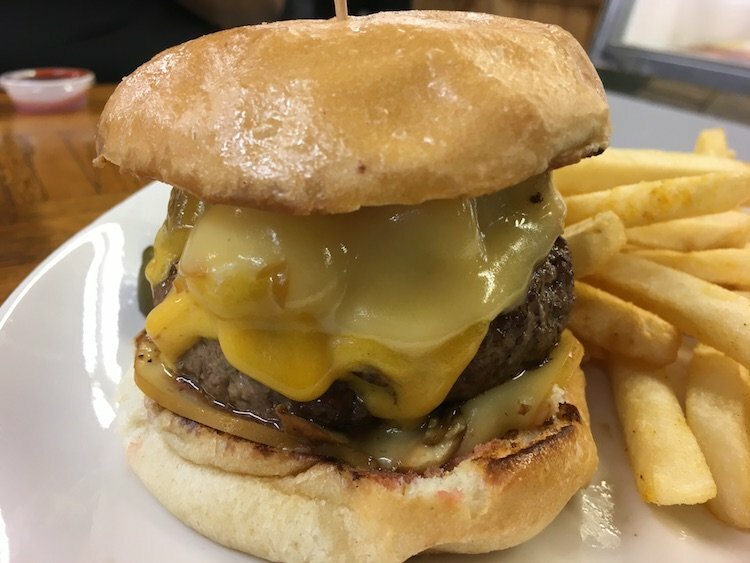 Lindburger's is a Naples staple, and has been there for years. I agree wholeheartedly – stick with the BURGERS! I like the one that comes on an english muffin, it's my favorite. I have not been in a while though, so I need to get back there sometime soon.